This Bronze Football Perpetual Trophy is the perfect size for your desk or a small trophy shelf. 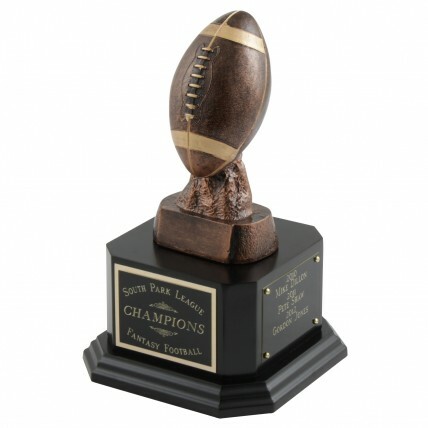 The football has a bronze color with golden accents and textured stitching. Overall height is 9.5". 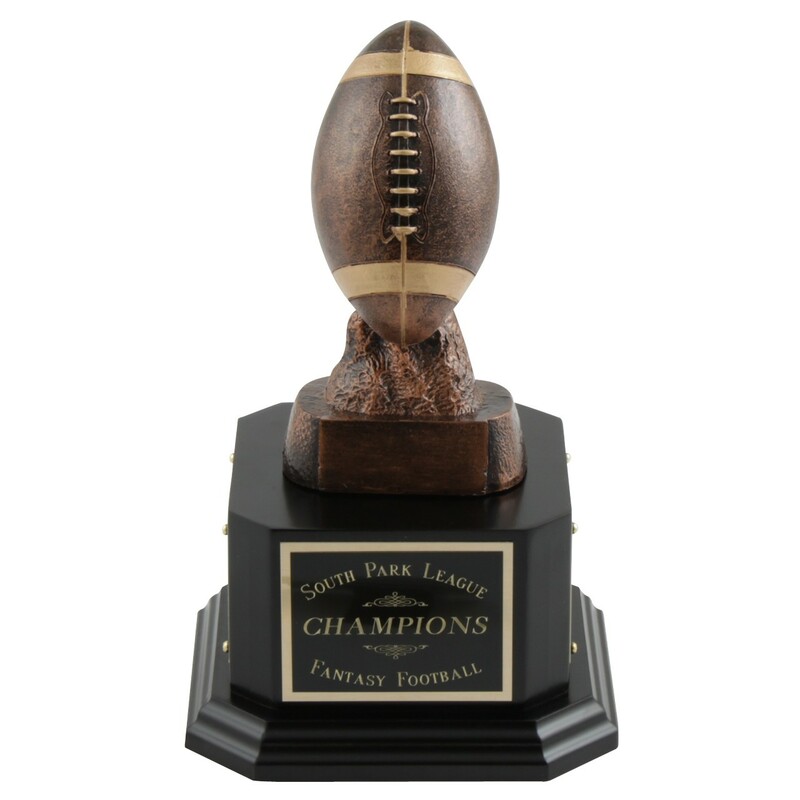 Engrave your league name on the front of the black simulated base. 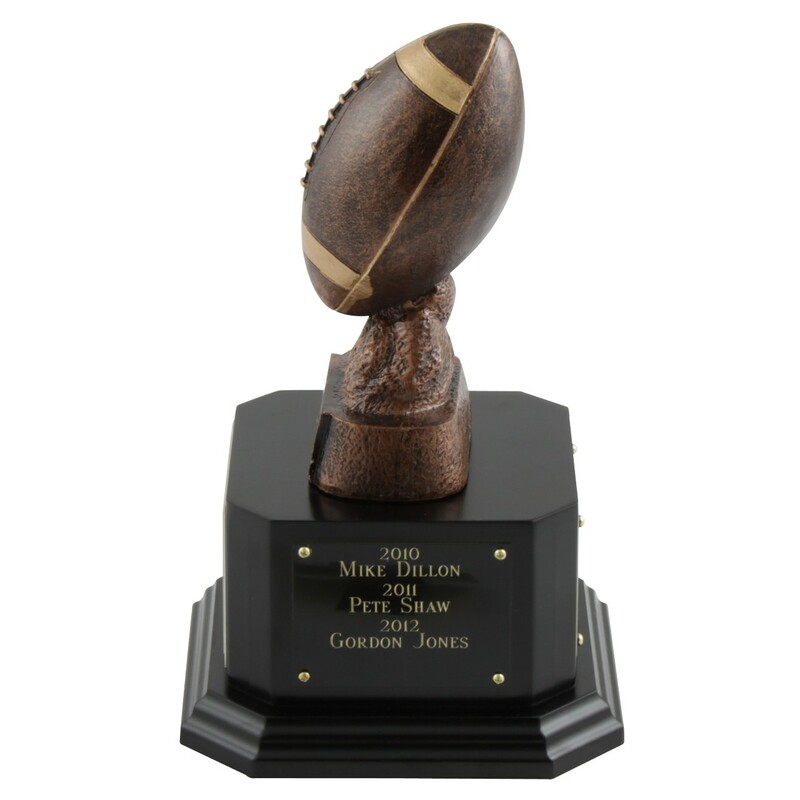 Engrave each year's winner on the optional brass plates on the remaining three sides. Each side can hold 4 to 6 years depending on text. Some Assembly Required: to reduce the chance of damage during shipping, this award comes in two pieces with strong epoxy glue and instructions for easy assembly. Click here to view our assembly tutorial.